The new Hibben Magnum Bowie Knife, crafted by noted knife designer Gil Hibben, really is a beast of a bowie knife. You can't show this knife to folks without it broadcasting that you mean business. 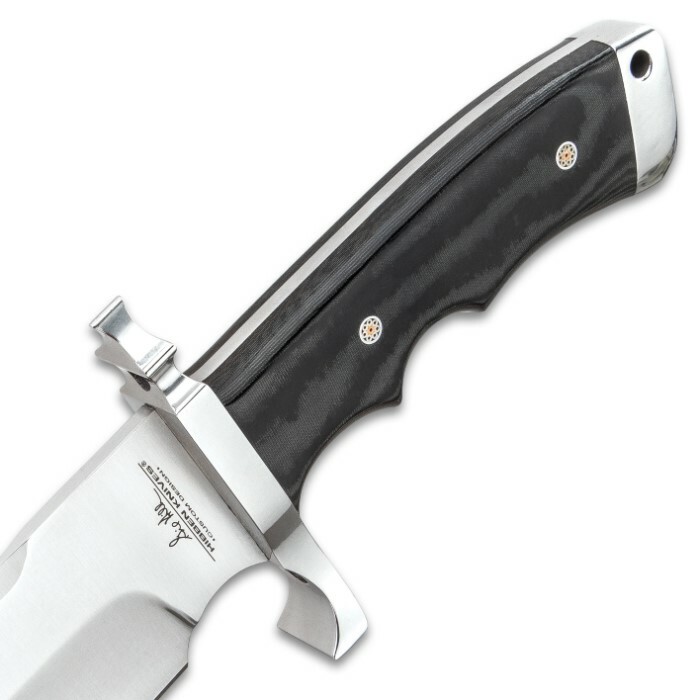 The 12 1/2" 3Cr13 rust-resistant stainless steel blade is massive. 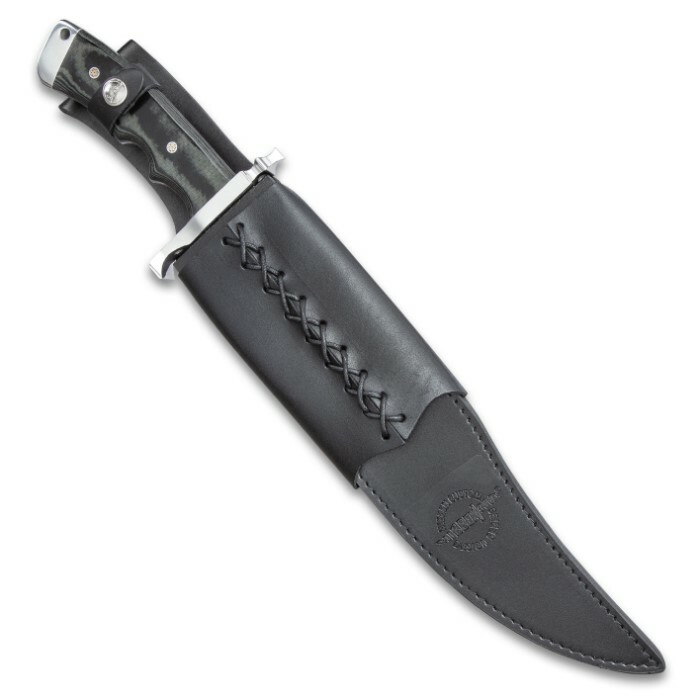 It features a stainless steel guard and pommel and a black Micarta handle with decorative pins. A leather body sheath with belt loop completes the package. Can't go wrong with this knife at this price!!!! Third Hibben I have bought. Love the craftsmenship. No thin flimsy dull blades here. Fulltang power. Thanks BUDK and Hibben. This is one helluva of a knife, I couldn’t believe the edge on this Bowie . I can actually can shave with it, no BS. If anyone wants a Magnum Bowie ...this is the one. Another great job from BUDK...???????? 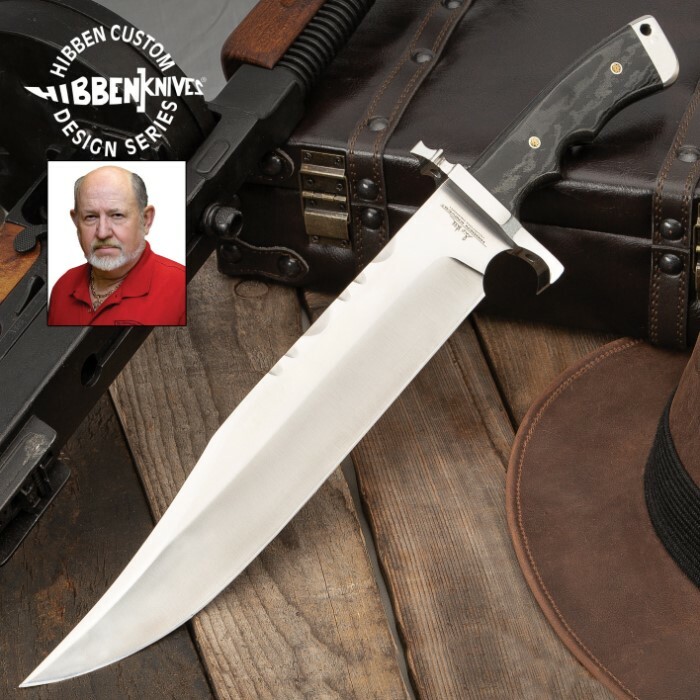 Another great product from Gil Hibben! And the price was fantastic! Received well protected. Came very sharp. It is very well polished and put together. The sheath is well designed and fits the knife like a glove. 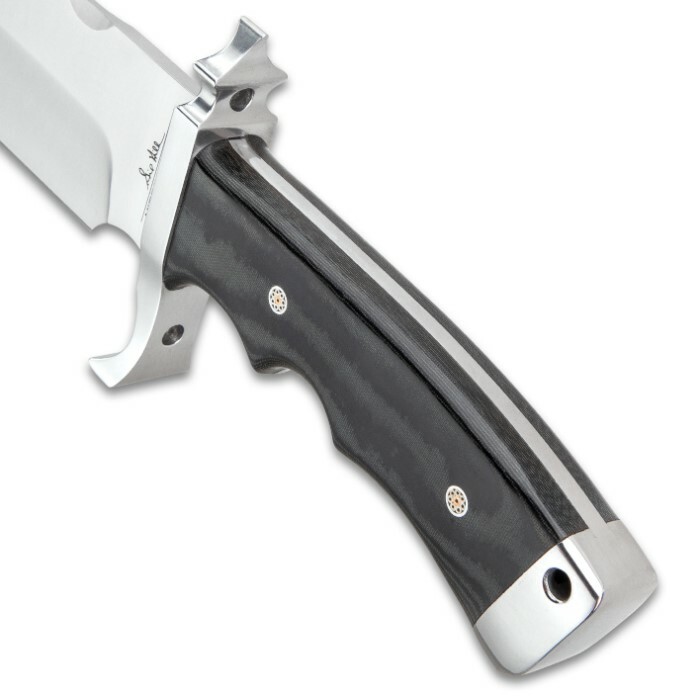 The 12" blade makes this knife almost a machete or sword! A great show piece for those who would want to put it on display but also the price point is not so high that a person might want to put this knife to use as a heavy camp knife. Also, should there be a zombie uprising, you have a great backup! This is one big knife light in weight. It is a great looking knife and does speak for itself. Gil did it again. Weather camping, hiking or hunting, this bad boy will be with me.If you like a big knife , then this is one that commands respect. This knife is a hoss! it's huge ,feels great in my hands, but I have really big mitts. Does what it should do in the woods, you won't be disappointed.